Steven Palm Photography went above and beyond my expectations. From the first time I contacted them, I was impressed. They are very quick to respond and show a lot of professionalism. My husband and I had our engagement and wedding photos done by Steven Palm Photography and they did not disappoint. It's clear that Steven and Alisha love what they do and they definitely have a talent for it. 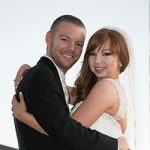 We worked with a lot of great vendors during the whole wedding process but I would say Steven and Alisha were the best. Couldn't be happier! Steven and Alisha were quite the duo to work with. 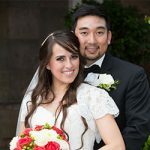 They complimented each other so well when it came to getting the shots we wanted and most importantly kept the energy alive with our large wedding party (16!). Not only were they able to retell our wedding story via photos so we could relive the whole day, they delivered photos timely, their communication was amongst the best of our vendors to work with and they had raving reviews from my family and friends on how much fun they were! 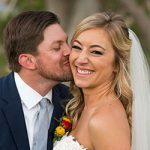 We got married in Tubac, Arizona and live in San Francisco and Steven and Alisha even took the time to meet us at the venue before the big day so we could attempt to get all the shots and hear their suggestions on all the pictures we were hoping to capture. Their guidance, energy and professionalism doesn't go unnoticed and I'd recommend them to anyone looking for natural, candid and picture perfect photos! For every girl her wedding day is one of the most important days of her life and trusting someone to capture her wedding day is so important. With that in mind, my biggest recommendation for you as a bride and groom is to work with Steven and Alisha. Steven and Alisha are truly a dynamic duo! They are so nice and have such great energy. They truly care about you as the bride and groom and they do everything in their power to make you feel beautiful and comfortable. We have gotten so many complements on how great the photographers were at the wedding. They were so organized and got so many great photos of our friends and family. The only thing we missed was getting a picture with them! Steven and Alisha were so responsive to my emails and always answered my questions. I truly feel like Steven and Alisha are our friends and I can’t wait to work with them again! I have never met anyone and been so blown away! They are truly the BEST duo of all time! The first time I called Alisha I felt an instant connection. When I finally met them in person we all felt so comfortable around each other. We kept in touch over emails up until the week of our wedding. They always responded quickly and answered any questions or concerns that I had. The morning of the wedding their instant smiles calmed me down a bit and I was so happy to finally see them again. I was so happy that they respected the rules of our church and how friendly they were towards everyone while taking pictures after mass. Steven made me feel like a model and was so polite and only had positive comments. They feed off of each other and when one doesn’t see something the other one does. To me that is crucial because you then know that nothing is missed. They took pictures of every detail possible and that makes me more than happy because there won’t be one thing I don’t remember when we go back and look at pictures. Not one thing was missed. One thing that blew me away was the fact that they took a picture of all of our guests and us together. I thought that was really sweet of them to do and probably one of the best picture memories we will have and cherish. The only people missing from that picture were them. I honestly consider them like family because that is how they made us feel towards them. Their love and energy was so contagious. A week later after the wedding I still had guests telling us how AMAZING they thought our photographers were! Everyone kept telling us that they have never seen two people work so well with one another and radiate such love for their profession like Steven and Alisha did. To any couple looking for someone that will make you feel like family and that will capture all that you have dreamed of look no further. I promise you will never regret it!! Thank for making our special day so unforgettable and for capturing our love. I am the Mother of the Bride, and as my daughter and her fiancé live out of town (Tucson) I organized much of the wedding myself. Steven and Alisha were the most wonderful photographers I could have asked for. In all the planning, they were so flexible and helpful - responding to all of my questions right away (very important to me) and talking me through how everything works on the big day. They had lots of options for me to choose from, and they allowed me to make my mind up as to which package I wanted over time. When I found out last minute that my daughter and her fiancé would be visiting Tucson last October, the Palms were really happy to schedule an engagement session to fit in with my daughter's busy timetable. They have such friendly personalities that they were an absolute pleasure to deal with. I would definitely recommend an engagement photo session because they taught Sophie and CJ how to pose for pictures and how to stay completely relaxed in front of a camera before the actual wedding day! Not to mention how much we treasure those pictures. The wedding photos themselves are fantastic - we all cried when we saw them. 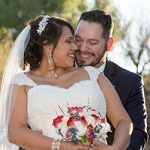 The Palms clearly have so much experience, and are such amazing professionals, that I was able just enjoy the wedding day from start to finish and not worry about managing everything. 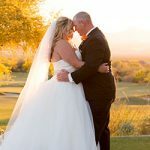 They had my list of photos (they guided me through how to put that together, and provided help on standard picture choices as well as help with the wedding timeline itself which was so useful) and they took care of making sure they got every single shot I wanted - I am so happy that I trusted everything to them! I can honestly say it was the best decision I ever made! 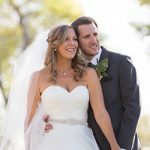 Steven Palm Photography is the must-book wedding photographer! Steve and Alisha, working together as a husband and wife team, were stellar! 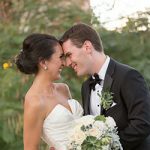 Needing to find a photographer when you live across the country from where your wedding will be does not always feel like an easy feat. Yet, Steve and Alisha made us feel comfortable from the initial emails and phone call. They are genuinely kind people who LOVE what they do and this translates into their work. They are very prompt in-person and email. We valued their professionalism and willingness to communicate throughout the planning. They were able to brainstorm with us and the wedding planner about potential timeline and asked us for a shot list. We were impressed with their flexibility to work with us, our families and attendees, in addition to other vendors! I felt like everywhere we turned, one of them were there ready! Throughout the day their dedication shined through and never felt they were imposing as they moved with us. Before the end of our reception, they made sure to ask if there was any other shot we wanted and even asked the same to my mom! They are considerate and refreshingly nice individuals who care about their clients. Working together, they talk to you and your significant other so you do not feel like you are forcing an expression or posing so much, but rather natural and working with them. Having a burst of mild rain on our wedding day, they were ready with back-up ideas for alternative places to visit around our wedding venue. Quick to think and act, we wouldn't have trusted anyone else for photography! What they captured is truly representative of us and absolutely stunning. The day after our wedding, Steve and Alisha emailed us a few pictures we were immediately able to share with family and friends. This sneak-peak was a lovely touch and only made us more impressed with them! We are thrilled to recommend Steven Palm Photography! Steven and Alisha are the definition of a dynamic duo! They are so professional yet so personal and considerate to your needs. They were the first and only photographers we met with because as soon as we sat down with them we knew they would be perfect to capture our wedding day. They make you feel like family. It's amazing how they feed off each other and come up with ideas for your pictures. We got both engagement and wedding pictures from them and both were delivered to us way ahead of schedule with a few sneak peeks just days after to hold us over. We loved that they weren't scared to lay in mud or climb rocks just to get that perfect picture. They answer any questions you have and keep you updated on the process. There wasn't a single time that we called where they didn't answer the phone. They even gave us recommendations 2 weeks before the wedding for a cake baker when ours bailed on us. They truly go above and beyond to help you with anything wedding related. The pictures we received are breathtaking! They catch genuine moments because they make it so easy to let loose. They constantly compliment each other as well as compliment you, which gives you a confidence boost and makes the pictures turn out real and not staged. I can't rave enough about these two. Not only are they phenomenal photographers, but by the end of just two photo sessions we feel like we've known them for years. 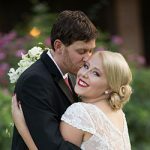 We loved working with Steven and Alisha!! All our guests said that they felt like there were more than 2 photographers present because they were so good at capturing every great moment. Besides the excellent photos, Steve and Alisha are just really fun people to hang out with all day. They also did our engagement photos and I highly recommend booking them for that so that you feel really comfortable with them on your wedding day. We LOVE LOVE LOVED Steven and Alisha Palm. They were so amazing and just an absolute blast to hang out with. They made me feel like a beautiful princess/model on my wedding day lol! Our guest gave us so many compliments on picking such awesome photographers. You can't go wrong with Steven Palm Photography! Steven and Alisha are absolutely amazing! Communication, professionalism, attention to detail, (and so much more), were top notch. Initial contact was approximately a year prior to our event via e-mail where most of the details were taken care of. It was followed up by a phone conversation to summarize and to answer any questions we may have had. As the wedding approached, Alisha contacted us to finalize the details. Hands down the best in town! We loved their energy and professionalism! They were so much fun to work with and every photo was awesome! Steven and Alisha were so much fun to work with! 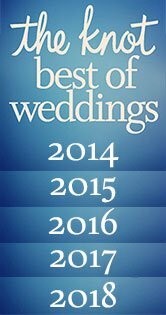 Their professionalism and creative eye made for an amazing experience and complete and total enhancement of my wedding experience! They did our engagement pictures too! I am looking forward to finding reasons in the future to work with them again! 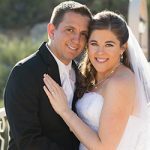 Steven and Alisha Palm went above and beyond their duties as photographers! They got every shot we asked for and more! 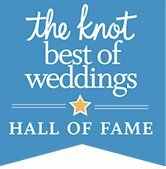 They are very organized and professional and we highly recommend their services! Steven and Alisha Palm are beyond amazing!! 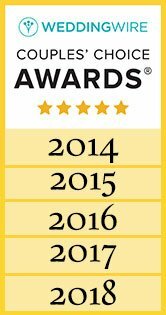 Their awards and reviews will tell you that, but then you meet them!!! My day would not have been the same with out these two! They were very friendly and easy to work with, and probably the most professional couple I've ever met. We loved having them their on our big day! We got our pictures from them very quickly, and the quality of their work is so impressive! They truly captured how beautiful I felt and how fun the entire day was. You want Steven and Alisha to shoot your wedding day, I promise!!!! They were wonderful!!! Such beautiful pictures and the sweetest people you will ever meet! Incredibly professional and they made our day spectacular! 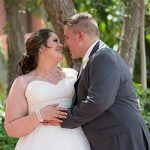 We used for Steve Palm Photography for our wedding and they exceeded every expectation we had! Steve and Alisha were incredible, they captured everything from the venue to our most intimate moments. We never had to run from location to location for that great shot, they captured every step we took during the day naturally and the results were amazing! They were incredibly flexible and professional and made us feel so comfortable! With Steven Palm Photography were were able to enjoy our day and capture memories that will last our entire lives! Steven and Alisha are easy to work with and take beautiful pictures! They made us feel relaxed and comfortable for both our engagement session and wedding pictures. Steven and Alisha make an amazing team and took extra care to get all the pictures that were important to us. They even got our wedding pictures to us less than a month after our wedding! We highly recommend Steven Palm Photography! You can't go wrong this this duo. Steven and Alisha are absolutely amazing, professional, and a sincere couple. I had my reservations about wedding pictures I'm not photogenic and don't smile, natural resting frown. Steven and Alisha know how to make you comfortable and put you at ease. Many of our guest commented how welcoming the photographers were. Steven and Alisha took the time to understand our wants and needs for the wedding photos and delivered a home run. We had a carriage at the wedding and during the ride the driver told me " You have one of the best photographer in town" and they have seen many. That statement only confirmed what I already knew. Between the wedding and engagement session we have a lifetime of beautiful photos to cherish. Our friends and family have told us they can feel the happiness through the photos. They did an amazing job capturing our special day. 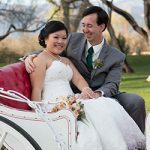 Steven and Alisha did a great job of photographing our wedding at Skyline Country Club. Leading up to the event, they were easy to communicate with and were very prepared when the wedding day came. My wife and I really enjoyed working with them. They're enthusiastic and experienced. They clearly know what they're doing and managed to get some amazing shots without being intrusive. 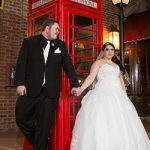 They're very familiar with Skyline and knew all of the best shots to get, but I would recommend them for any occasion at any location.The pictures we received were outstanding and we were actually surprised at the number that we received. And we got them very quickly considering how many there were. We've had nothing but positive feedback from family and friends. Go with them! You won't regret it! 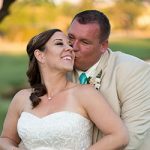 When Steve and Alisha first arrived at Corona Ranch they immediately made us feel comfortable and helped calm our nerves. Both of them had wonderful attitudes and showed great passion for their work. 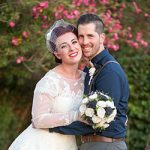 They did a great mix of portrait and candid shots which really helped to capture the memories of our big day. In a short period of time they were able to take us all over the venue and the photos make it seem like we were at 5 different places at once. 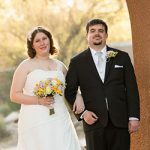 Prior to the wedding they were very prompt with e-mail and phone communication. They are very organized and profession in their communication and have a wonderful website. The photos are of excellent quality and they captured each and every moment of the day. No one was left out, we have lots of photos of all of our guests. After the event we received a surprise sneak peak of our photos followed by multiple updates on the status of our photos. Altogether it was a very short turn around from the event and the time we received our final photos. We highly recommend working with Steve and Alisha. Steven and Alisha were wonderful to work with. 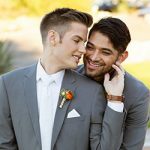 From the engagement photos to the wedding reception they were professional and contain such a positive energy that made the whole process fun and enjoyable. Despite the joyous occasion of a wedding, our family had just gone through a heartbreaking loss two weeks before the wedding and thus still fresh into the grieving process. Steve and Alisha both went out of their way to bring out a smile from us for the occasion. Despite the difficult moments, they managed to coordinate with our family and friends to get the best photos; they took the time to understand the difficulty of the moment; and because of the comfort we felt around them we were able to really enjoy ourselves during the session. 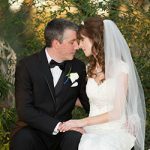 When we were originally looking for a photographer for the most important day of our lives, we were looking for affordability, experience, and that we would be comfortable around the photographer, Palm Photography was not only affordable (we purchased the Story Collection) but they are an experienced husband-wife team that made the process seamless. After looking at the final product, including our Wedding Album, we are happy and beyond satisfied with their work, and grateful that we chose them! 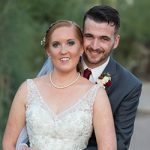 Steven and Alisha are simply the best duo photography team in the Tucson area! My husband and I are completely satisfied in selecting them to capture our special day. These two have such a contagious energy that keeps everyone smiling throughout the entire evening! 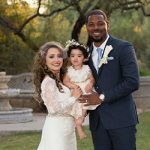 We opted for the package which included the leather photo book... Alisha and Steven surprised us with a design and layout that blew us away -- We were so excited to share the book with our family and friends. If you are seeking the best of quality and professionalism, choose Steven Palm! After all, the shots only happen once and last a lifetime. Steven Palm Photography was amazing. My wife and I really loved the husband and wife duo. 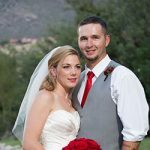 We live out of state in Colorado but never once did we have anything to worry about as they always communicated with us every step of the way to make sure that they were able to provide the absolute best service for us on a very special day. The quality of service and pictures were excellent. Everyone from the bridal party to the guests loved how wonderful the pictures turned out and how awesome and creative Steven and Alisha were the entire night. 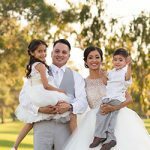 They were very responsive and very flexible to the ideas that my wife had and they made sure that they captured every special moment of our wedding. They were courteous, and very professional and we could not have had better photographers than the husband and wife duo of Steven Palm Photography to capture our special day.We would definitely recommend the services of Steven Palm Photography to capture any special event that you want of lasting memories. We will be using their services again when we take family pictures in the Spring of 2017. With that being said, October 9, 2016 will always be a special day for us and we have Steven Palm Photography to thank a thousand times for being there to capture every moment of it and for providing ever-lasting memories.